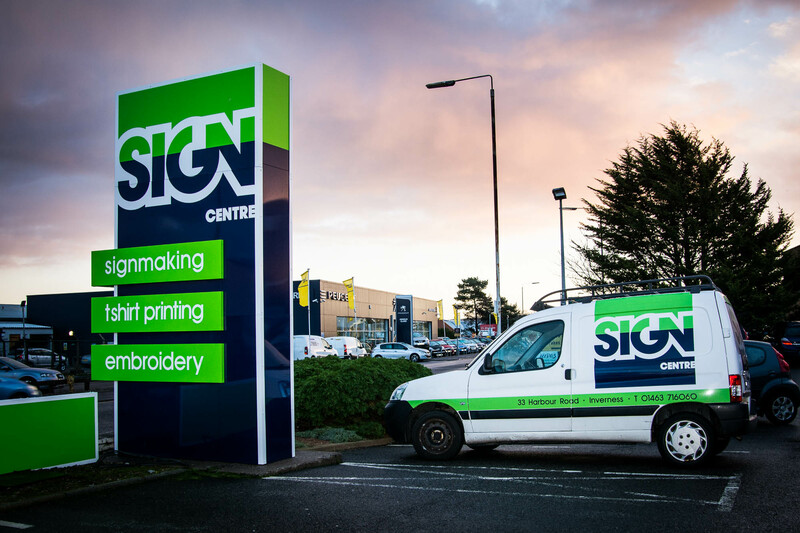 Based in the heart of the Scottish Highlands, The Sign Centre is a well established business specialising in signmaking, vehicle livery, high quality embroidery and state of the art digital garment printing. From vans to rally cars, socks to hard hats we have a system that can put your logo on it. No logo, you say? Our top designers can create one for you before our team of experts go ahead and apply it to your vehicle, polo shirt or hoodie ! !